Officially James Cook's voyage was a scientific expedition to observe an eclipse of Venus, June 1769, but secretly it was a commission by the English admiralty to find a mysterious southern continent, which had already been discovered and visited by Dutch explorers between 1605 - 1636. 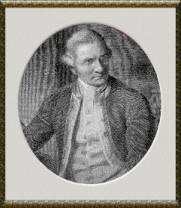 James Cook left from Plymouth and sailed around Cape Horn into the Pacific. After anchoring in Tahiti the Endeavour continued on to the North Island of New Zealand, then sailed on to the South Island. They discovered that neither island was connected to a large southern continent (Australia). 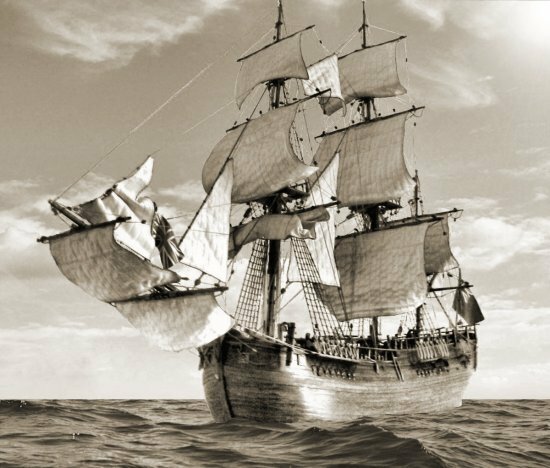 He then continued on to Tasmania and the east-coast of Australia where they anchored in what would be known as "Botany Bay". When it became time to leave, the ship nearly went down on the coral reefs north of Botany Bay, and many of her crew died of fever when she headed further north to Batavia, the political and commercial centre of the VOC in Asia, before finally heading for home. “A better ship for such service I never could wish for“.